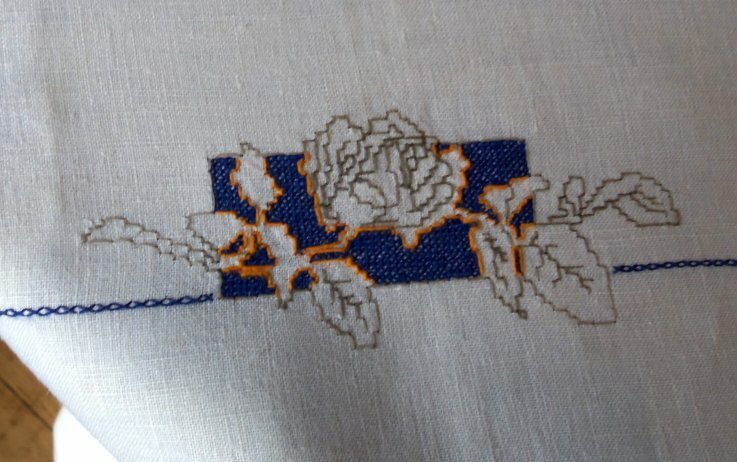 Today i will be talking about a unique form of embroidery which is done in the town of Assisi, Province Umbria, Italy. In Assisi Embroidery, the outline and contours of the design are stitched in back stitch, double back stitch, or Holbein Stitch, then the background is filled in with cross stitch or long-armed cross stitch in a single color, so that the design becomes negative space. 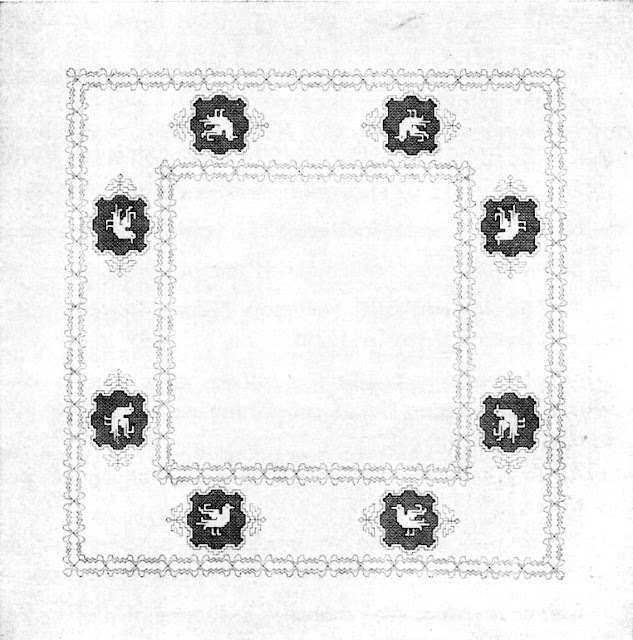 The composition is then finished with border designs again in Holbein or back stitch. 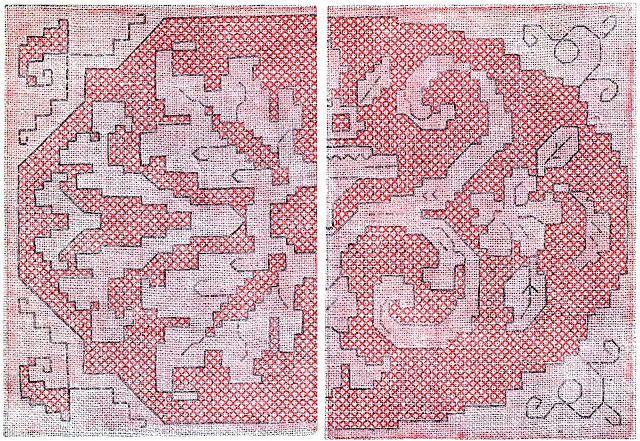 The piece as a whole is finished off with hemstitching. Here is an example of a piece which i bought in Assisi in the 1980's. 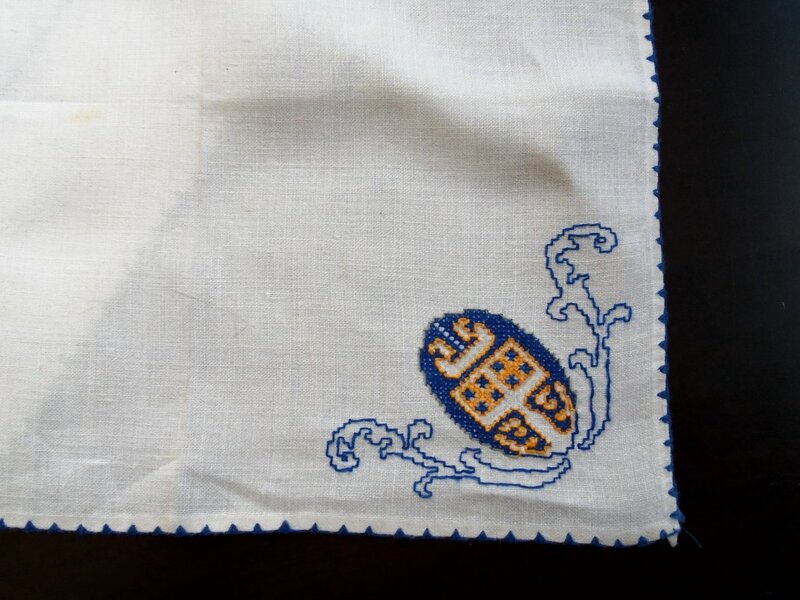 This form of embroidery was formed in Assisi at the beginning of the 20th cent. These embroideries are still being produced by a woman's cooperative in Assisi, and sold in the gift shops there. 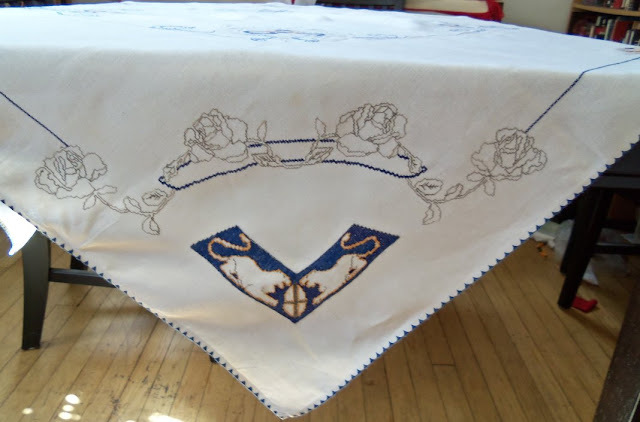 They formalized the form based on some embroideries from the middle ages which were preserved in the local churches. 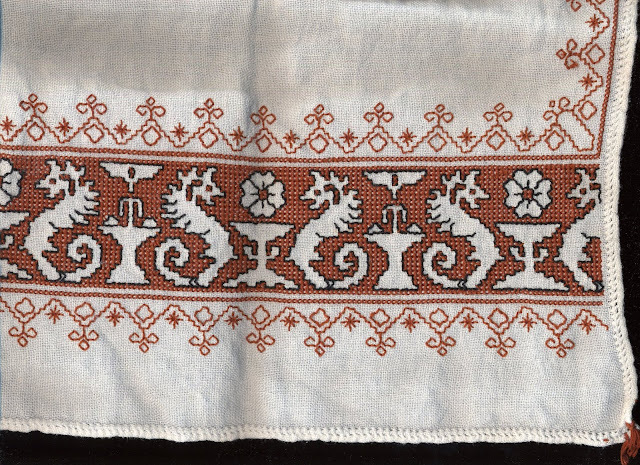 The current form of the embroidery is completely a counted thread technique. 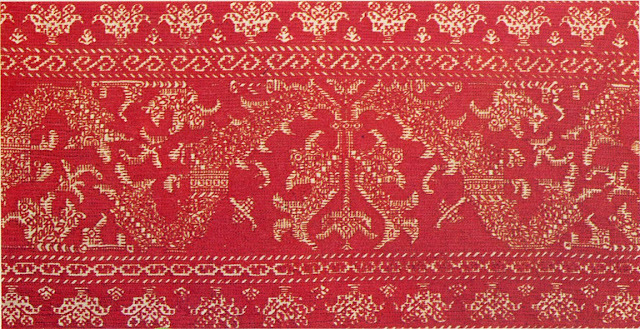 Like many specific local embroideries, this style of embroidery was once more widespread. 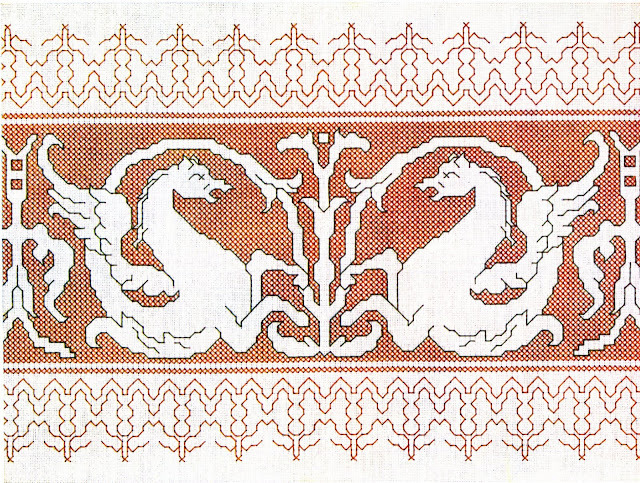 The original embroideries did not have the border designs, and the outlines were done in free form stem stitch. 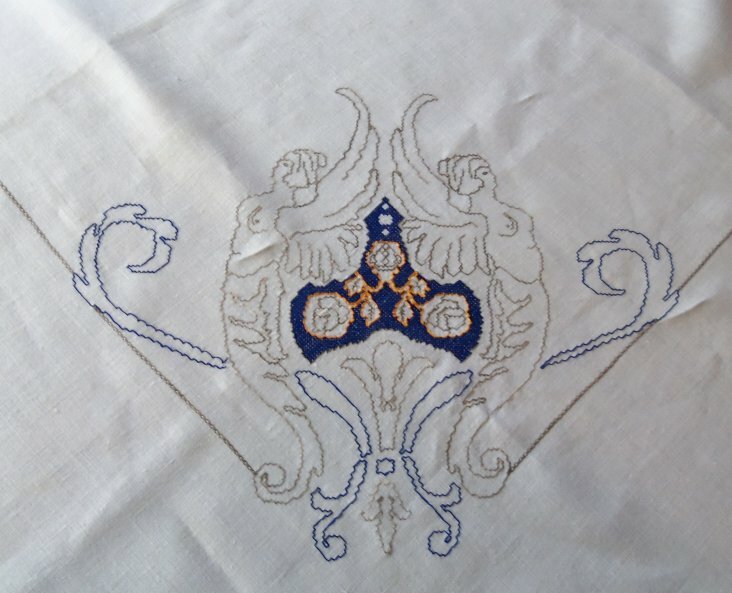 Here is an example of the old style embroidery with the non counted outline. 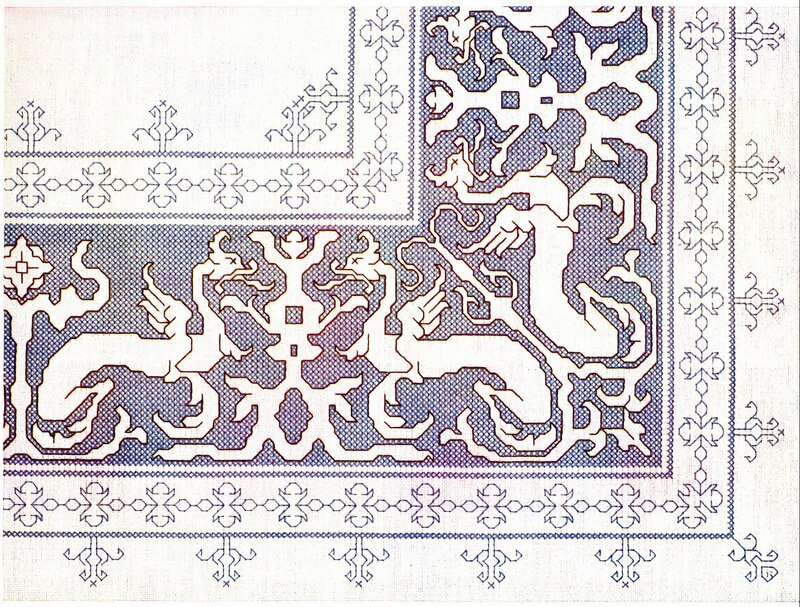 This example is from the Cyclades Islands of Greece. I have found examples of this type of embroidery from Cyprus, other Greek Islands, Sicily and Morocco. Here is another example from the Cyclades, done in counted thread stitching and more complex than the work currently done in Assisi. 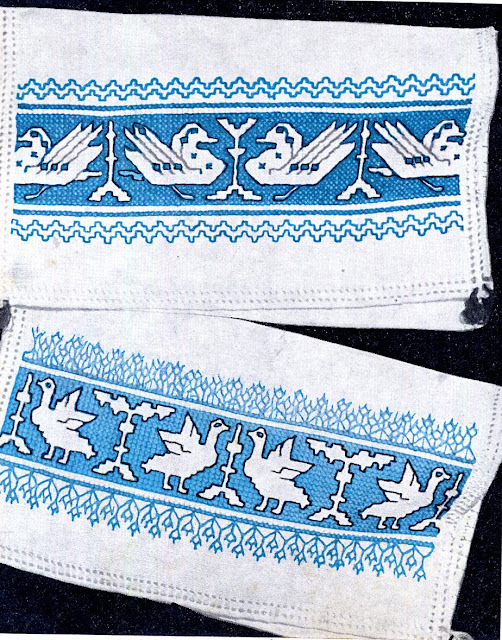 As you can see, these examples do not include the outline stitch borders. Another version of this type of embroidery is found in Hungary, The Silesian highlands of Poland and other areas, but without the outline stitch. Simply being negative space cross stitch embroideries. 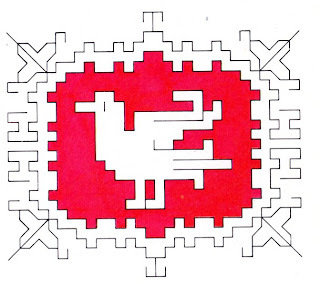 Here is an example from Hungary. In modern Assisi work, the outline is done in brown or black thread, and the filling is done in one color, which varies. 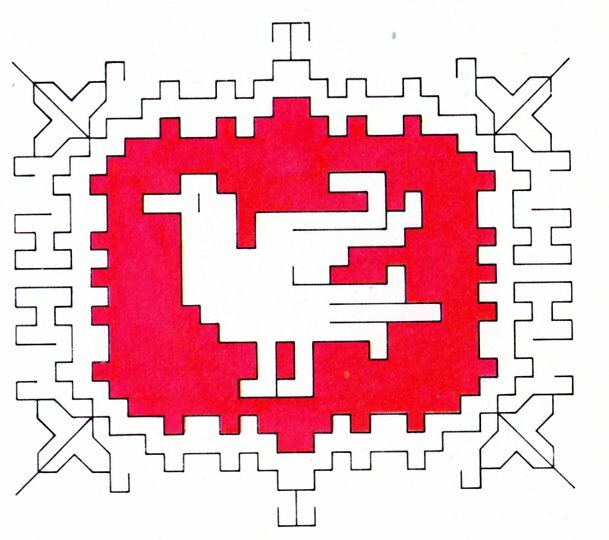 Sometimes the cross stitch is confined to spot designs, such as this one. 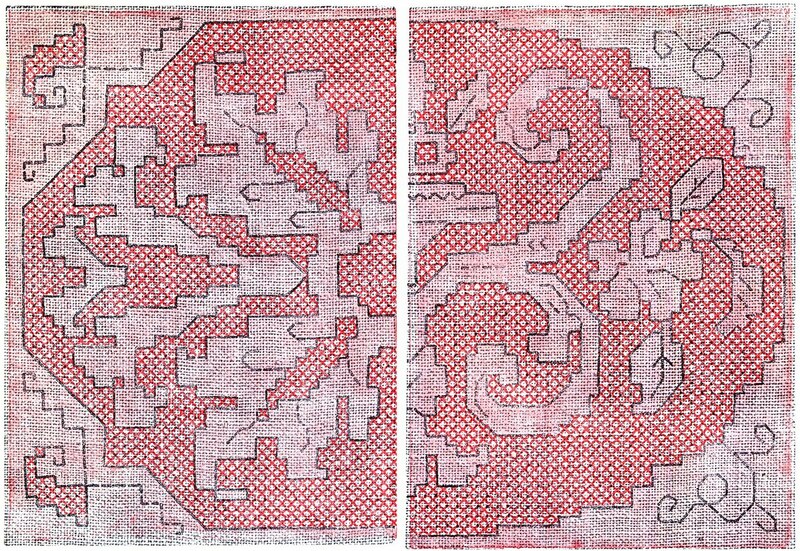 These spot designs may be connected with outline stitch to form an overall composition, as in this example. 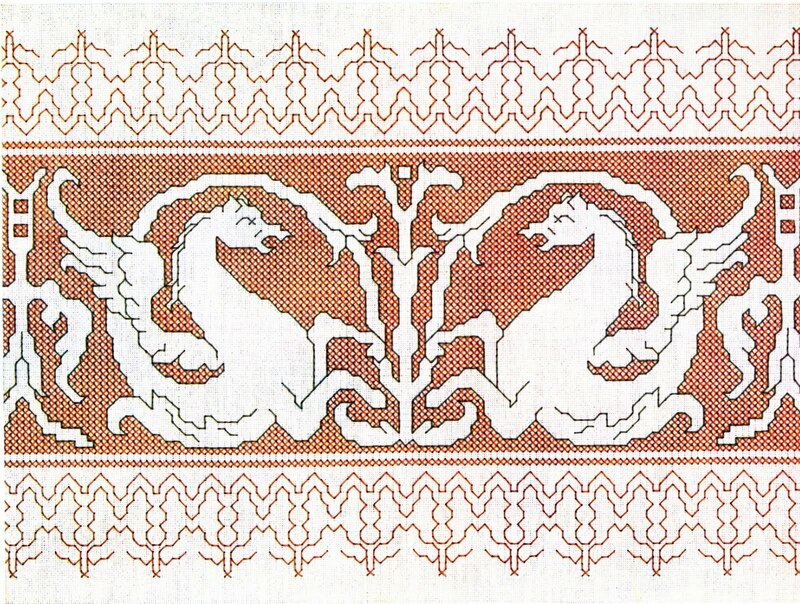 Of course, it is very common to do these designs in bands across the ends of a runner or something similar, as is the case with my seahorses above. Here are a couple more examples of this. 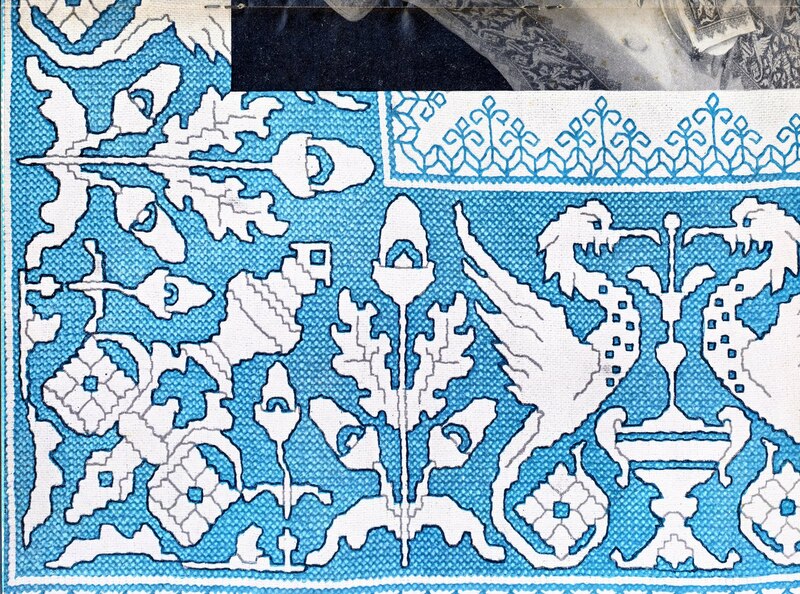 It is relatively easy to turn a corner with a design like this. 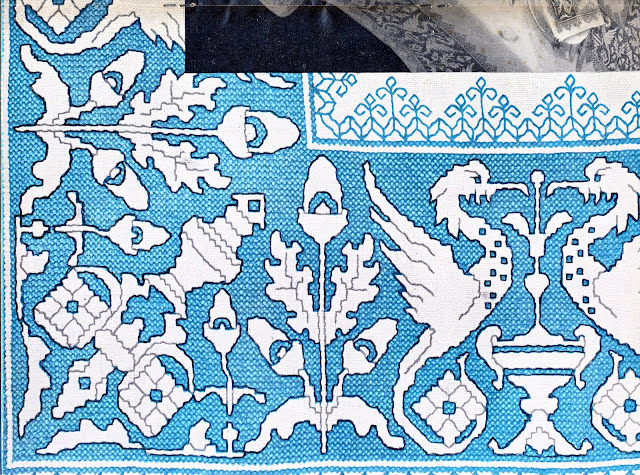 In which case you would have a border around around all four sides of a cloth. Of course, there is no rule which says that the embroidered areas must be rectangular. 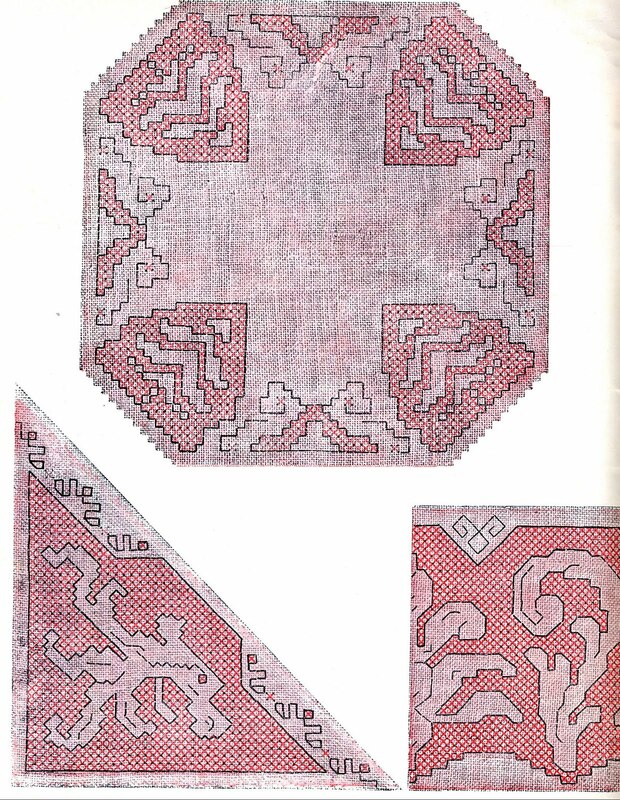 You could design them in any shape, and connect them as you would the smaller spot designs. 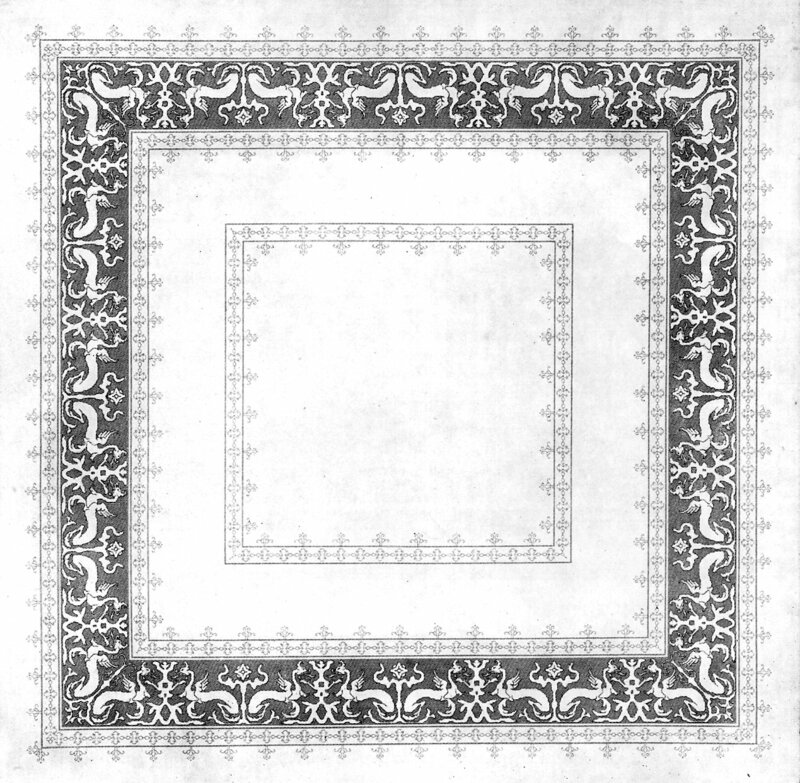 The design possibilities are endless, and the designs can be very ambitious, or quite simple. 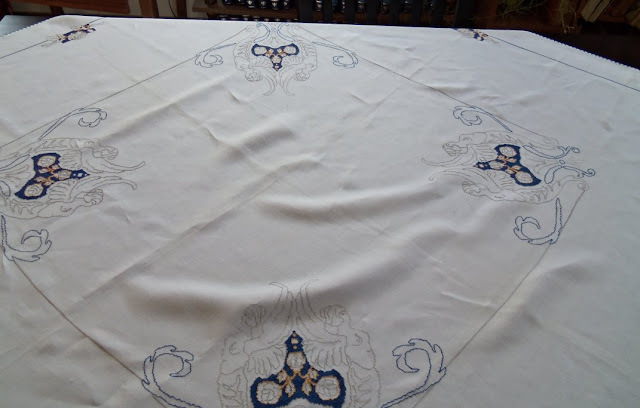 Here are some images of a tablecloth which i recently found in a local antique store. 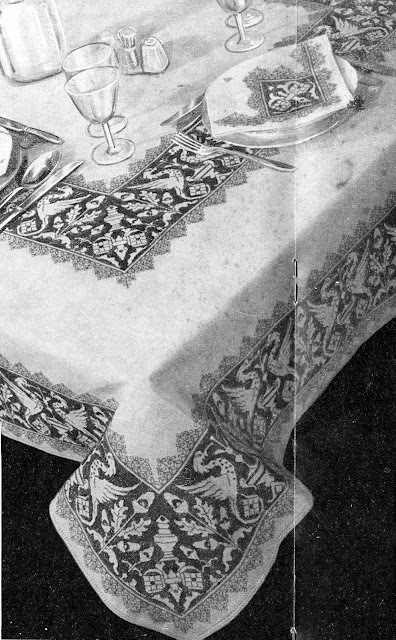 There are 6 luncheon napkins. Here is an overall view. 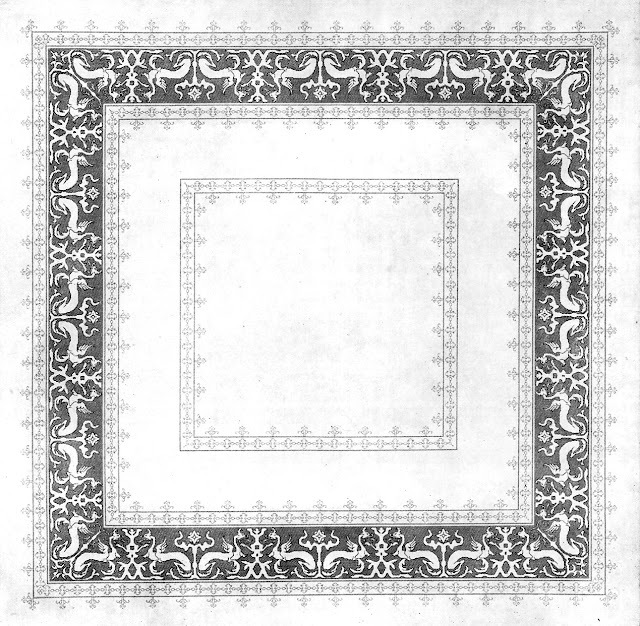 You can see that this design is somewhat more free-form, but still recognizably within the Assisi Tradition. Thank you for reading. I hope you have found this interesting and perhaps inspiring. I will be visiting Italy in November and would like to find where I can purchase charts/patterns to stitch myself. Can you help with any suggestions?